The Union columnist Boardman’s stock market acumen? Ouch! 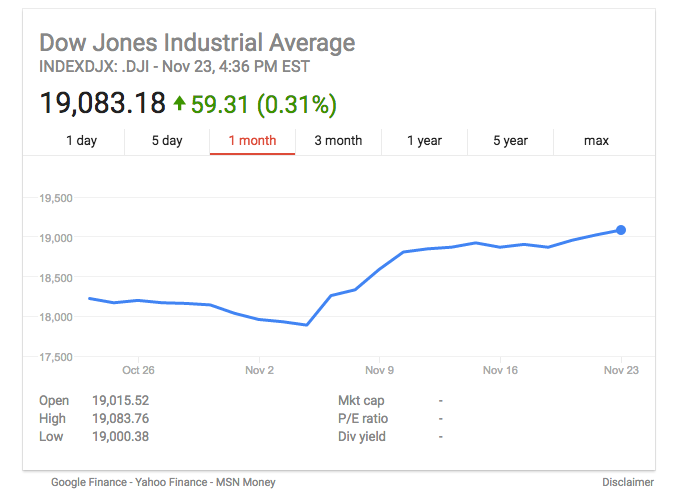 Here’s how the stock market has done since George sold — it is at record highs. And to think George was once a business writer. Meanwhile, on his own blog “Father Superior” (AKA George) is lecturing the major media how to cover Trump. George never made if further than the San Mateo Times. Go figure!